The national 'LIve Stronger for Longer: Prevent Falls and Fractures' website is proving to be hugely popular, with several new users to the website every week, including 86 new users from New Plymouth in early March alone! We want to further grow awareness of how to prevent falls, by promoting our fantastic local Community Strength and Balance programme to people aged over 65 in Taranaki. Did you know that there are at least 35 classes in Taranaki alone? Check out the list of local clases. "You go out of here a bit tired, but buzzing!" says 69 year old Russell Good. 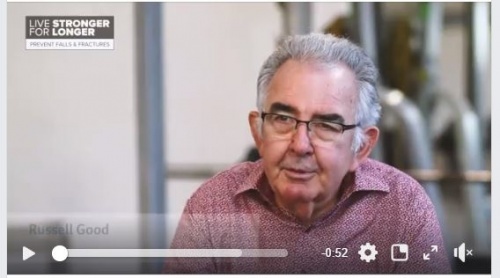 Community strength and balance classes are helping Russell keep active and independent, while living with Parkinson's. 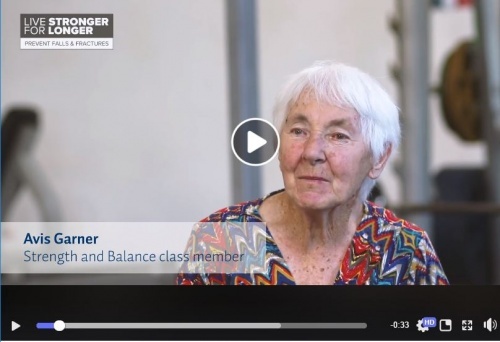 "There's a place for everybody here," says 82 year old Avis Garner, who's been loving the social aspect of attending community strength and balance classes. Having a yarn is just as important as doing the exercises. Want to know more? Contact HIlary Blackstock, Taranaki's Community Strength and Balance Coordinator at Sport Taranaki.